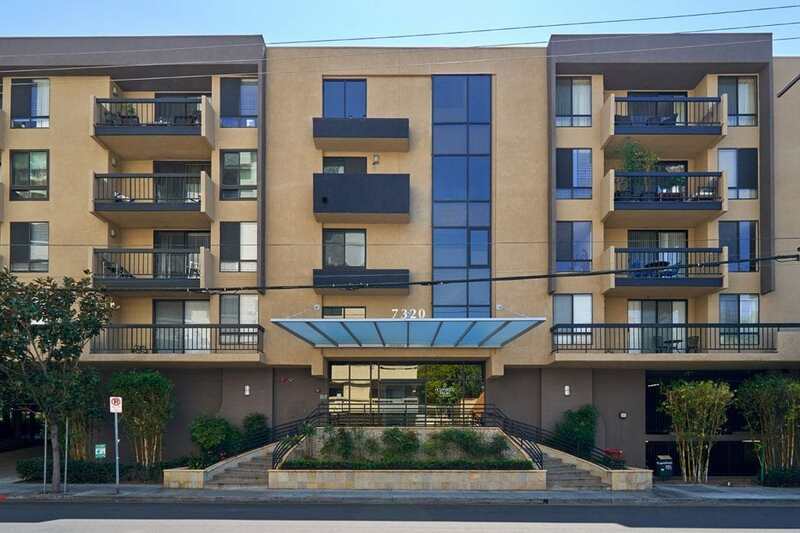 Hollywood Regis is a 4 story 100-unit condo building in Hollywood. 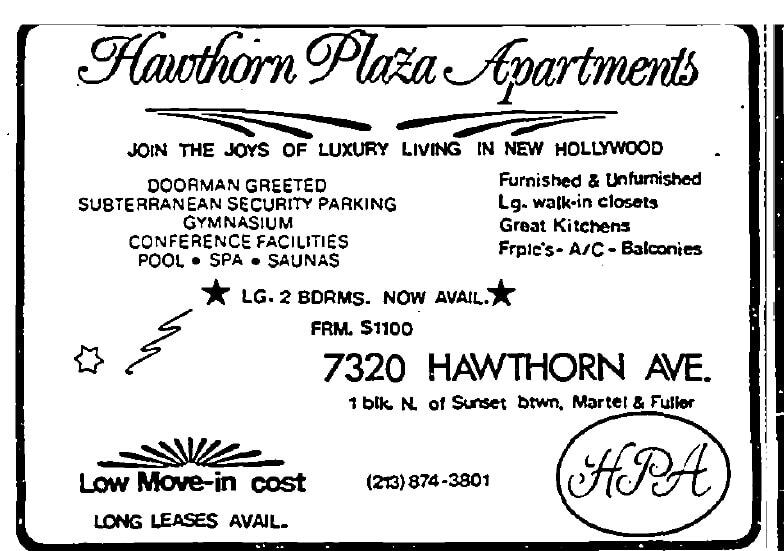 Built-in 1985 as the Hawthorn Plaza Apartments- it was converted to condos in 2007 by Irvine developer Sares-Regis Group (which is where it gets its name from). 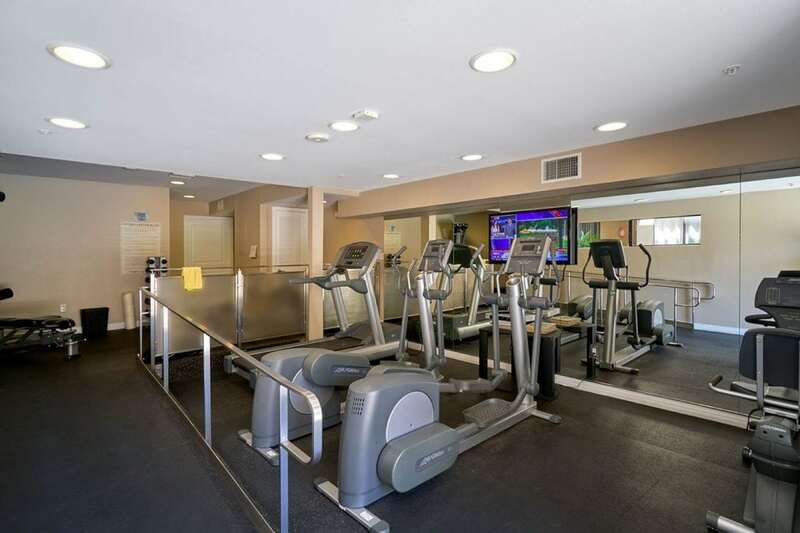 The building offers some nice amenities (pool, gym, security) while keeping the HOA dues below $500/mo. 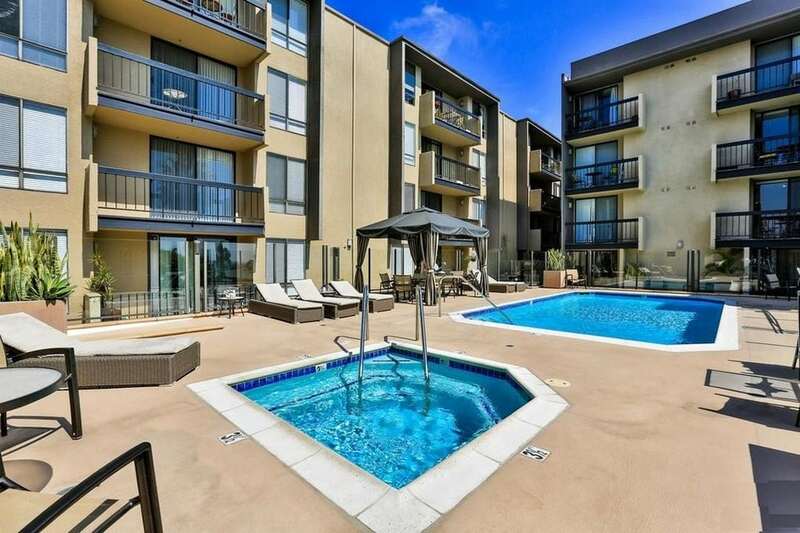 The condos are compact, ranging from 500 sqft for the studios and 600 – 750 sqft for the 1 bedrooms, and 1,000 sqft to 1,150 sqft for the 2 bedrooms- which helps keep prices affordable. This is a great place to get started and later move up or stay long term if you don’t have bigger space requirements because of the convenient location. 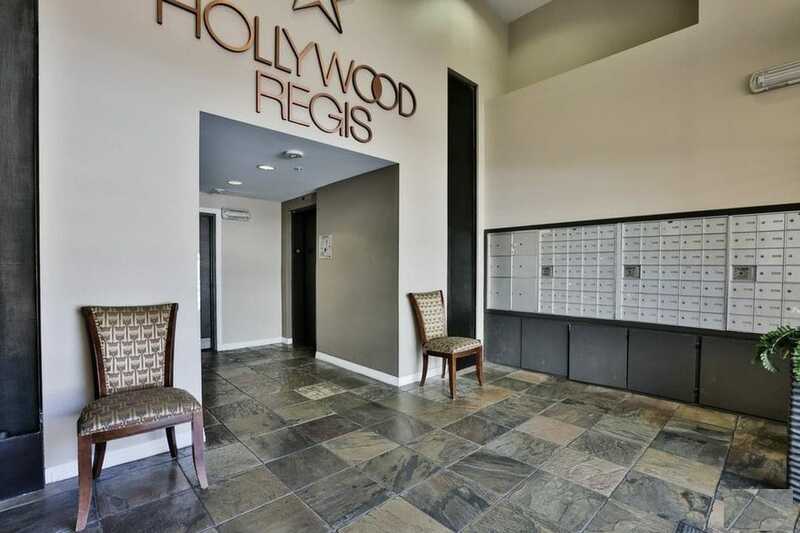 Living at the Hollywood Regis, you are right in the thick of things in hip and happening Hollywood. This area combines with West Hollywood to form an entertainment district so there are plenty of places to go and things to do. You can walk from the Regis down to Sunset Blvd, which has a bunch of restaurants, and a few Low Key bars. Short Uber distance to Hollywood Blvd, The Sunset Strip, Santa Monica Blvd, K-Town, Miracle Mile for a night out. Some of my favorites spots in the immediate area are Runyon Canyon Park, Hollywood’s Rock and Roll Ralphs – (you also have a Trader Joes/ Bristol Farms/ Whole Foods and Pavillions), The Pikey (see if you can spot a gnome! ), the Carving Board, and Sam’s Bagels. The public schools have a good elementary. Safety is pretty good- you just have to be careful if you park your car on the street because there is some property crime/ homeless. Hollywood Regis has three sides of street exposures on Hawthorn, Fuller, and Martel. Being located on a gently upsloping hill, the condos that have south-facing windows on the higher floors will have city views. Interior Condos face the courtyard where the heated pool and Spa is. Exterior Condos have a street facing views. On Site Management and Night Time security guard. Laundry is in each unit with a European style all-in-one ventless combo machine. 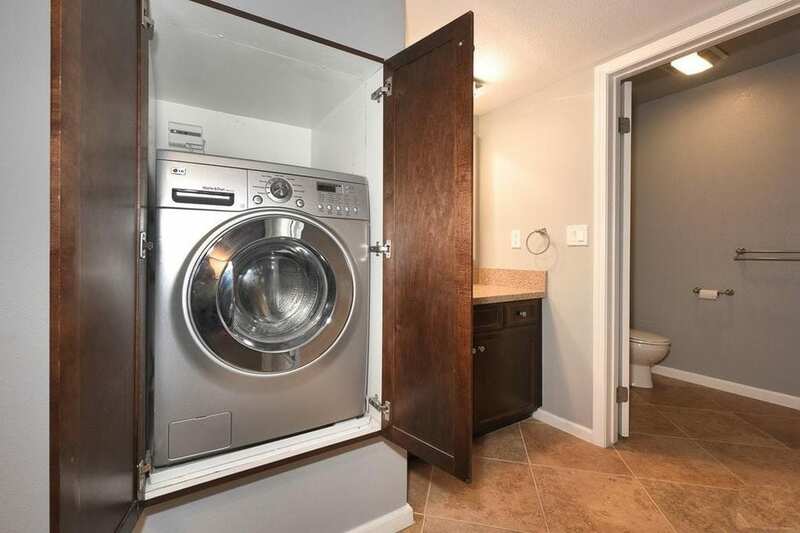 Are there still laundry rooms? 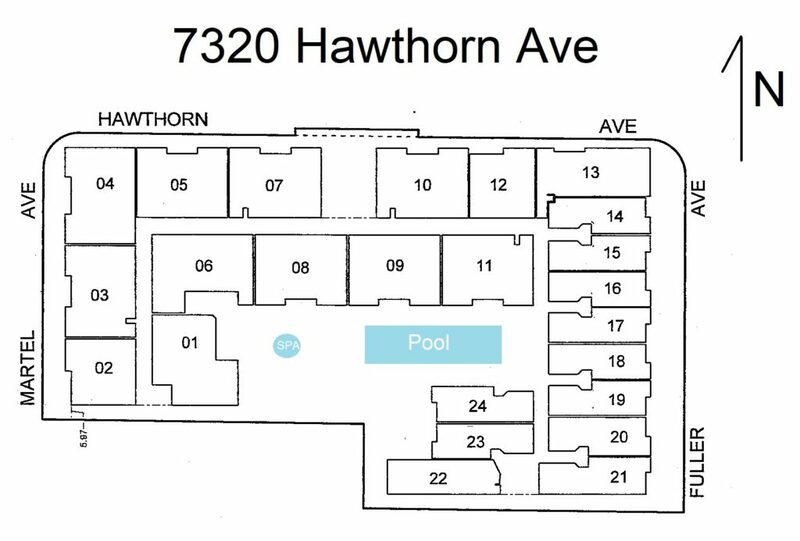 Studios get 1 parking spot, 1 bedroom can either have either 1 or 2 parking spaces. 2 bedrooms get 2 parking spots. Storage can be added in the garage. Guest Parking? The building recently updated the hallways with new paint and carpeting and redid the pool and Spa Area in 2015.